Hello, again, and happy Monday to everyone! Spring has finally arrived! However, in Michigan, other than a sporadic tease here and there, it doesn’t actually feel like Spring is here until closer to May. Nonetheless, it’s a light in the dark that gives us hope for tomorrow! 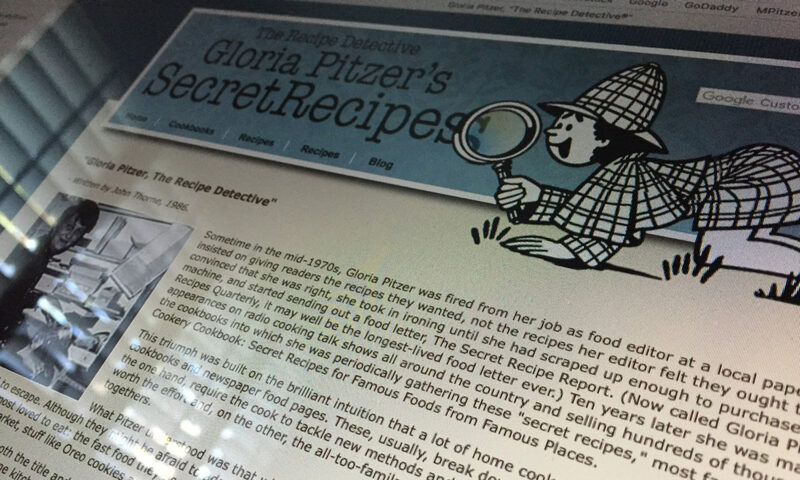 If you’re new to here – I am Laura Emerich and these blogs are dedicated to and inspired by my mom, Gloria Pitzer, the private investigator of “Secret Recipes”TM (aka the ORIGINAL “Recipe Detective”TM). I want to carry on her amazing legacy, which is why I titled my first blog in this series “A Legacy of Love” (9/17/2018). That is what “Secret Recipes” TM always was to Mom – and that’s what it became to me over the last few years of her life while I collaborated with her to re-write her favorite self-published cookbook, The Better Cookery Cookbook; which was published by Balboa Press in January 2018, with a slightly different title (more information on that at the end of this blog), for a new generation of foodies! As I mentioned in last week’s blog, during her 60-year-plus writing career, Mom wrote and syndicated thousands of columns – some under the copyright heading, “No Laugh’N Matter” – across the country and for local newspapers. 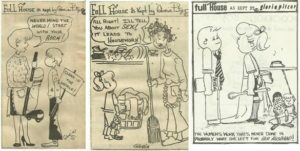 In the late 1960s and throughout the 1970s, Mom also designed satirical cartoon panels titled “Full House as Kept by Gloria Pitzer”©, based on her own comedic, family experiences. A few are pictured below. However, I can’t find the dates of when these were illustrated or when they were published. The two on the left are older than the one on the right. 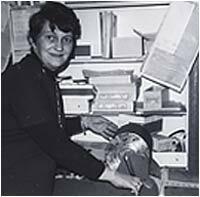 The newspaper editorials she wrote and syndicated were much like blogs are today. Except, they were printed in hard-copy newspapers and magazines instead of on the World Wide Web. 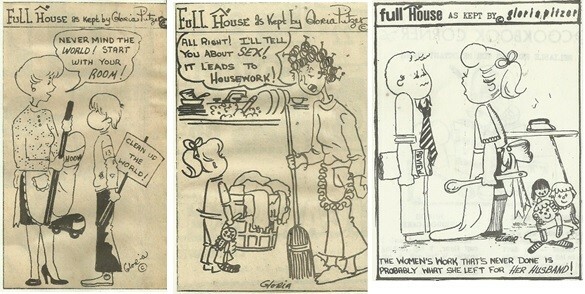 I also mentioned in last week’s blog that I wanted to discuss cleaning, this week, since it’s the beginning of Spring AND National Cleaning Week – hence, my choices of Mom’s cartoon panels to share with you. As well, I wanted share some more special memories of Mom, in relation to cleaning. Mind you, Mom was not a fan of cleaning at all, even if it did have calorie-burning benefits! But, by no means, did we ever really live in a dirty home! 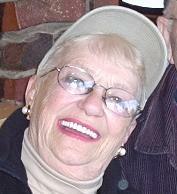 As in stand up comedy, Mom often stretched and twisted reality a little bit to generate a laugh. Mom was brought up in a generation that just did what they “had to”; keeping a clean or tidy home was just something that they’re parents taught them to do as responsible, civilized people – at any age. So, in honor of National Cleaning Week, plus Mom’s writing and comedic legacy, here is one of her old No Laugh’N Matter columns that she syndicated, called “Eat Your Heart Out Mr. Clean!” (as seen in The Times Herald, Port Huron, Michigan; Feb 14, 1974). Now, my household hints are NOT necessarily recommended by GOOD HOUSEKEEPING, Dr. Seuss, my mother-in-law, the neighbors, Mr. Clean…but they do work! Unless, that is, you’re expecting miracles. WHAT TO DO WITH LEFTOVERS: If, while they are in the refrigerator, leftovers become as hairy as hedgehogs at bay, don’t try to throw them out. Feed them dead flies and keep them as pets! WHAT TO DO ABOUT JAR LIDS THAT REFUSE TO BUDGE: Tell a 4-year-old not to touch them! IF YOU HAVE OVER-SIZED HIPS: Wear Jodhpurs. They’ll go out where you do! IF YOU PUT ON WEIGHT EASILY: Let out your couch! TROUBLE FALLING A SLEEP? If you can’t count sheep… try talking to the Shepherd! CONCERNED ABOUT SHORTAGES? Help conserve water… bathe with someone you love! 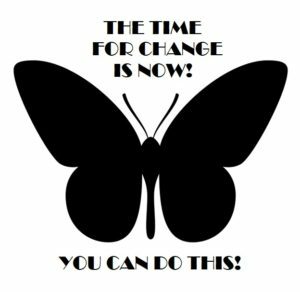 Help conserve paper… stamp out bumper stickers! Get an education… drive a school bus! Eat a beaver… save a tree! TO CONSERVE ENERGY: Don’t hold post-mortems, brooding over your mistakes. The faster you make one, the less apt anybody is to notice it. BEFORE GOING TO THE EXPENSE OF REDECORATING YOUR ENTIRE HOUSE: Move! TO PREVENT SCRUB WATER FROM RUNNING DOWN YOUR ARMS WHILE WASHING WALLS: Hang from your feet! CLEANER FLOORS: If you have tried the miracle product as advertised on TV and you still can’t get your floors to look as clean as those seen on the commercial, write to the manufacturer of that cleaner and have them send you that mop! SHORT ON SILVERWARE AT MEALTIME? Delegate a search party of children to check out the sand box, toy chest and cold air returns. Chance are, you’ll find them! TO REMOVE CHEWING GUM from a new, white bedspread, apply peanut butter by rubbing with vigorous motions. If it still doesn’t come out, get a new bedspread! TO AVOID HAVING YOUR HUSBAND USE THE GUEST TOWELS to clean the carburetor…hang only cleaning rags on the bathroom towel racks! One sort of recent memory I have of Mom, regarding cleaning, is from shortly after her stroke in 2015. Mom had to go through a lot of different therapies, including physical and occupational therapies. One of her therapists called me one day, very concerned about Mom’s sudden dislike of her since they seemed to get along so beautifully during her first couple of visits. I met her at Mom’s place during her next scheduled visit to see just what she was describing to me. The therapist went through everything she did during the previous visit. It all seemed to be going fine, at first; thus, I was beginning to think that either she misinterpreted Mom’s reactions to her, or it wasn’t happening on that day because I was there. Then, after having Mom do some simple stretches, the therapist asked Mom to make her bed as one of her daily exercises. Just then, in an instant, Mom’s mood changed from “sunny-and-75” to “stormy-and-below-freezing”! Right away, I started laughing out loud! The therapist and Mom, both, looked at me rather strangely. I guess it was an inside joke. 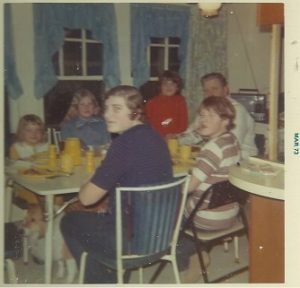 Mom hated cleaning – well, “hate” is a strong word; let’s say she “clearly disliked” it. I’m not saying she didn’t do it; but, that never meant she had to like it! In fact, I think making the bed was at the top of her “torture” list. I couldn’t help but burst out laughing at the situation, as did the therapist when I explained it! 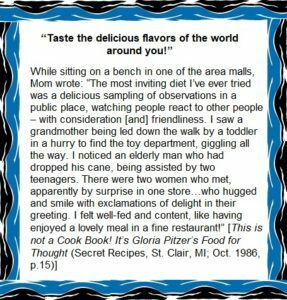 Not everyone get’s a joy out of cooking and cleaning any more than they have to – thus, the subject inspired the parody title of one of Mom’s cookbooks, The Joy of NOT Cooking…Any More than You Have To (Secret Recipes, St. Clair, MI; Nov. 1983). I, on the other hand, like to clean – and, especially, to organize! I don’t know why – it’s some OCD thing I have – but organizing is more like a favorite hobby to me. When it came to her desk, Mom preferred what she called an organized mess, as in her illustration above. My own kids and husband like to tease me that I’m not OCD but, rather, CDO because I prefer things in alphabetical (and numerical) order. When I heard that this is National Cleaning Week, I actually got a little giddy at the thought of flipping the bedroom mattress; as well as, rotating the seasonal clothes and living room furniture – just some of the things I usually do in the Spring and Fall seasons. I know I’m weird – and that’s okay! 20 Everyday Activities and the Calories They Burn by the Editors of Publications International, Ltd. (as seen on HowStuffWorks.com) says that 30 minutes spent on dusting burns 80 calories and 30 minutes of mopping burns 153 calories. As for laundry day, 30 minutes of folding clothes burns 72 calories and ironing for 30 minutes burns 76.5 calories. Among other housework activities, the article also claims that 1 hour of moving furniture burns 504 calories, 10 minutes of sweeping a broom back and forth burns 28 calories and 20 minutes of vacuuming burns 56 calories. Even 30 minutes of preparing dinner burns 74 calories and, obviously, you should make healthy meal choices too. Additionally, outside the house, the article claims that pushing the lawn mower for 1 hour can burn 324 calories… and spending an added 30 minutes raking up the clippings will burn another 171 calories. The article also suggests that picking up yard-waste can, correspondingly, reduce your waist size. Furthermore, it advocates that, by spending 4 hours of hard-work cleaning up the neighborhood, you’ll burn 1,800 calories AND improve your community! What a great idea! Plus, 2 hours of gardening burns about 648 calories or more and you can grow some nice, healthy vegetables at the same time. If you don’t have your own garden, or room for one, you can check around your area for a community garden? If you live in a state like Michigan, where it snows at least half of the year, you may be interested to know that 30 minutes of shoveling snow burns 202.5 calories. Also, now that it’s Spring and weather is starting to improve, 20 minutes of hand-washing the car will burn 102 calories. I hope you’ve enjoyed my blog and will return again next week when I discuss more about gardening, as it will be the start of National Garden Month! 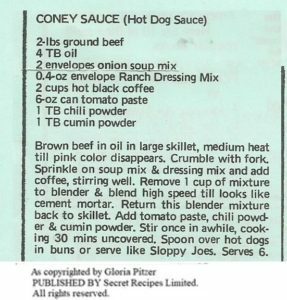 In closing, as I do each week, I’d like to leave you with one of the recipes that Mom developed and gave out for free on her “product-ordering/information sheets”. Mom used the following TGIF-Style, Jack Daniel’s sauce imitation when she wanted to make chicken or steak with a little kick. 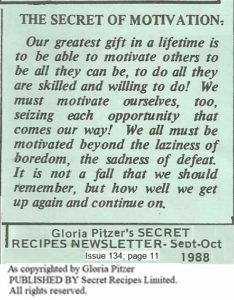 The version pictured below is from Mom’s “Free Recipes/Information” sheet (2000), asking only for proper credit if you care to share it. 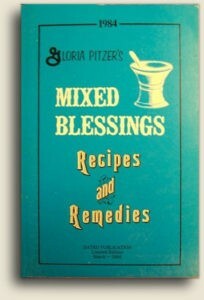 This particular sauce is not in Mom’s last cookbook, Gloria Pitzer’s Cookbook – The Best of the Recipe Detective ( Balboa Press; January 2018) – a re-write by me, Laura Emerich, of her famous, self-published book, Gloria Pitzer’s Better Cookery Cookbook (Secret Recipes, St. Clair, MI; May 1983, 3rd Printing). However, there is a large section filled with other great “Soups, Sauces and Side-Dishes” to tantalize, tease and tempt your taste buds. This cookbook (also available in eBook form) has 318 pages filled with over 500 of Mom’s best recipes, Food-for-Thought articles, inspirational stories, household/cooking tips and tricks, witty jokes, illustrations and historical information on some of the great companies whose dishes and products that she famously imitated at home! 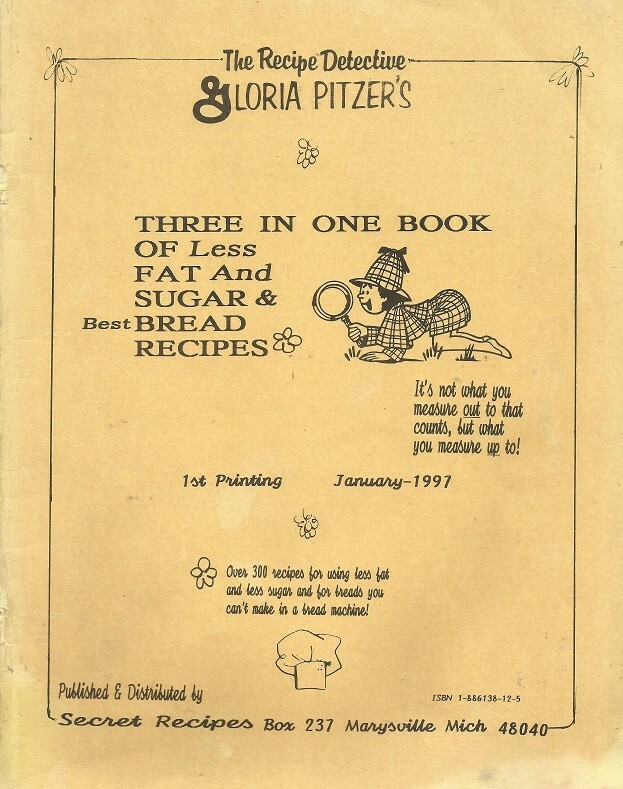 1997 – Gloria Pitzer’s 3-in-1 Book was written, illustrated and published by Gloria Pitzer (Secret Recipes, St. Clair, MI). NO LONGER IN PRINT – this cookbook, having 60 pages and an 8.5” x 11” format, is a culmination of 311 recipes that use less fat and sugar; as well as, recipes for the best breads you can’t make in a bread machine! 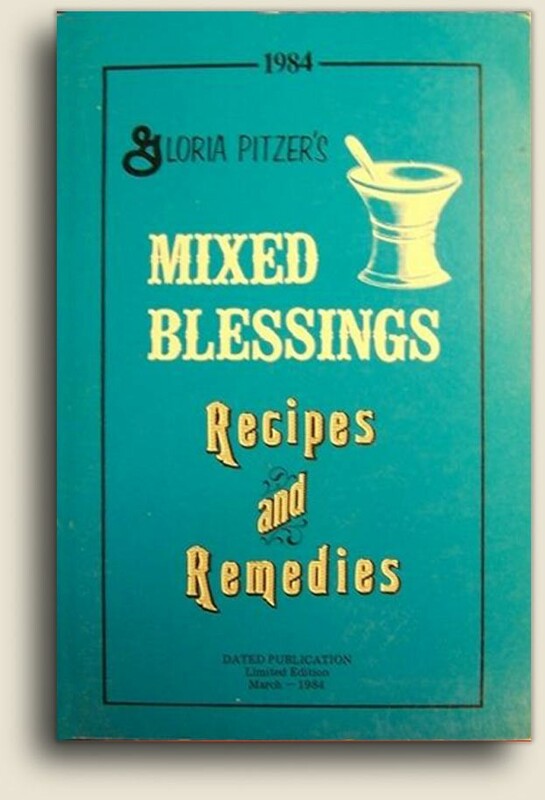 1984 – Gloria Pitzer’s Mixed Blessings – Recipes and Remedies was a limited edition cookbook that was written, illustrated and published by Gloria Pitzer (Gloria Pitzer’s Secret Recipes, St. Clair, MI). 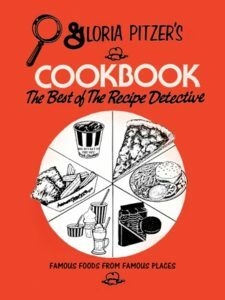 NO LONGER IN PRINT – this cookbook, with 274-pages and a 6” x 9” format, combines the best of breads and desserts, main dishes, salads, soups and microwave recipes that give you motivation, as well as complete, detailed formulas for foods that should take the monotony out of mealtime and create sensible shortcuts to success – not because you HAVE to cook, but because you WANT to! The remedies cover those ordinary problems that that concern us, living in an age where it seems nobody cares about anybody. We talk about caring, working out relationships, recognizing happiness and treating life like a banquet. We also discuss why children need guardian angels, as our society rushes them into adolescence and adulthood, without the wisdom that only experience can provide. 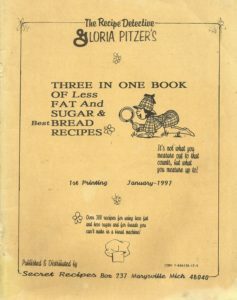 1979 – Gloria Pitzer’s Dieter’s Digest booklet was written, illustrated and published by Gloria Pitzer (Gloria Pitzer’s Secret Recipes, St. Clair, MI). 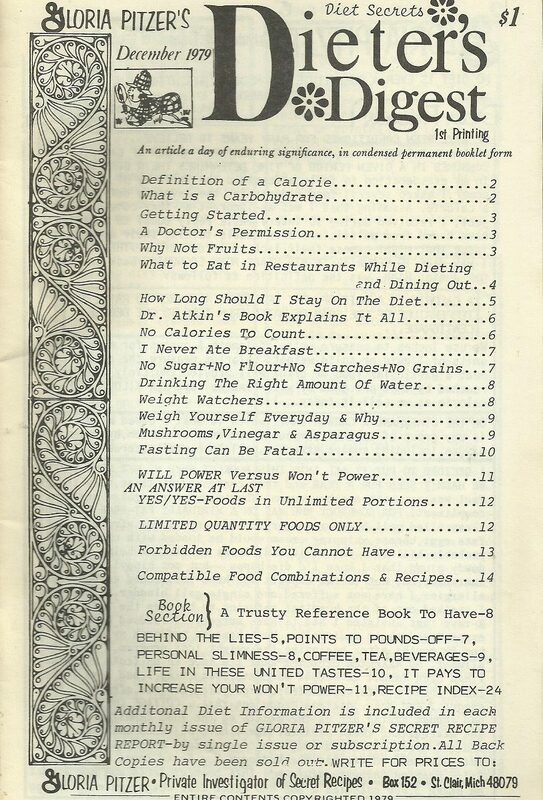 NO LONGER IN PRINT – this little booklet had a 24-page, 5.5″ x 8.5″ format filled with dieting information, inspirational and humorous stories and healthy recipes. It sold for $1 per issue. 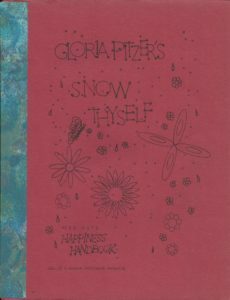 1975 – Gloria Pitzer’s Snow Thyself was a sort of “self-help” book written, illustrated and published by Gloria Pitzer (Happy Newspaper Features, Pearl Beach, MI). 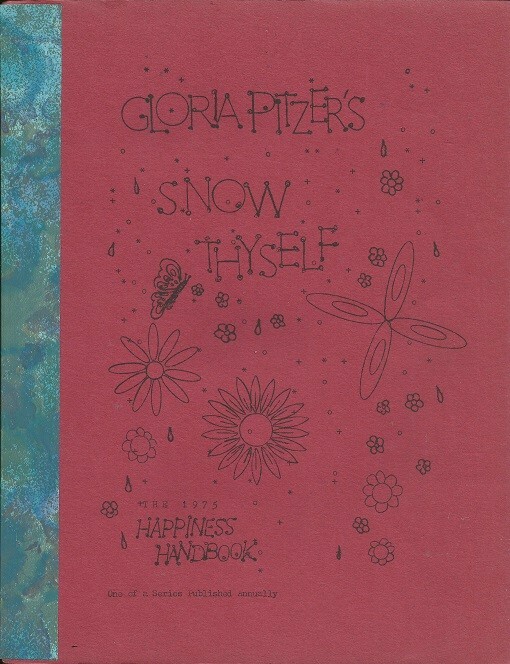 NO LONGER IN PRINT – this book was sub-titled “The 1975 Happiness Handbook” and had an 8.5” x 11” format with 16 pages full of feel-good stories, quotes and meditation. No information could be found regarding the price for which it sold. 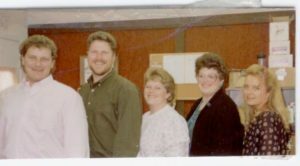 Mondays & Memories of My Mom – Inspirations are Everywhere! Happy Monday to everybody! I hope you make today special for somebody, even if it’s only for yourself! 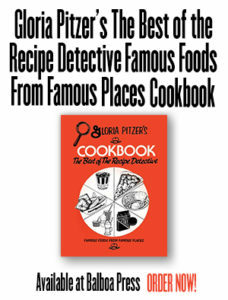 My name is Laura Emerich and Gloria Pitzer, the ORIGINAL “Secret Recipe Detective”, is my mom. She passed away almost a year ago (it’ll be a year next Monday) and I started this blog series in September (2018) to carry on her legacy of love with her “Secret Recipes”. 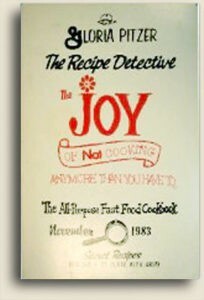 To me, her love of writing and cooking and inspiring others in the same was a big part of her legacy – especially since I collaborated with her during the last few years of her life to re-write her favorite cookbook, “The Better Cookery Cookbook” (1983), so it could be re-published to inspire new generations in the “digital age”! 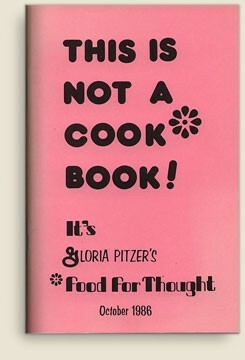 Shortly before Mom passed away, it went to print, being published by Balboa Press with the title adjusted to “Gloria Pitzer’s Cookbook – The Best of the Recipe Detective”. We embrace the challenge to inspire…The care and concern that an author has for their readers is part of the pleasure of presenting interesting ideas in either an entertaining way or in an informative way. I try to balance my own presentations between the two. When I am broadcasting over the numerous radio stations around the country, sometimes around the world, I try to lift the listener to a new height of interest and enthusiasm, and I leave the serious side of nutrition to the experts, who have the medical background to support their claims. My hope is to present my recipes in such a way that cooking is a joy and never a job! 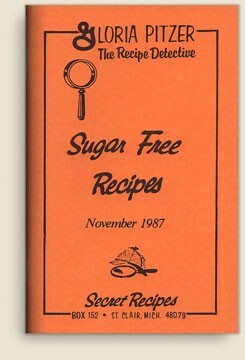 I try to present these recipes with the same concern as I do giving a gift to a special friend. Each of our 5 children, who have grown up helping Paul and me with these recipes, have gone out into the world with this legacy of love and enthusiasm. We can only hope that they use what we have given them. I can only hope that I’ve made Mom proud of what I’m doing with her legacy of love… especially regarding this blog series, her website and her last cookbook; developing and promoting them, in her memory and honor, with the love and passion and so much more that she instilled in me and continues to inspire in me. I want to take this blog, as well as her website & book, to new heights for her. It’s a work in progress though. I’ll be honest – while I love to write, promoting and selling are not my forte. My inherited love for writing has always been in me. One of my favorite and youngest memories of Mom & I is when she was first teaching me how to write, from how to hold the pencil to how to draw the letters to how to form the words by putting those wonderful letters together. Much like Mom, when I was growing up, I was always drawing, reading and writing little stories, as well as a lot of poetry. Whether it was inspired by or inherited from my Mom, English was always my favorite subject throughout school and I always loved the essay assignments the most! Mom always hated when “the press” referred to her as having turned a hobby into an occupation. Writing was never a hobby to Mom, and she used to say that being a writer isn’t what she did; but, rather, who she was! I could always relate to that! She also loved to say in a lot of her publishings that, while she made a worthwhile living at writing, it was her writing that made living worthwhile. I’ve never made a living at writing, but I’d certainly love to do that! My road block, however, is promoting and selling; which is much more of a learning process for me, while it just seemed to come naturally for Mom. Luckily, I love to learn! Another one of the things Mom inspired in me is my passion to learn – she’d always say, “learn something new every day!” Along with my “new year, new attitude” resolution for 2019, I’ve determined that every day is a defining moment for each of us, in which experience and knowledge, together, influence our personal evolution; thus, we need to seize those moments and do our best to make the most out of them! Nowadays, knowledge is literally and instantaneously at our finger tips! For most of my life, I was a bookworm. I continue to love the hard copy in my hands; but, now, I’m also a world-wide-web-worm! There’s so much out there from which to learn! But you have to be self-motivated to and self-inspired to grab the book or the computer and open the “pages” and read, soaking it up like a sponge! Of course, you also have to be able to differentiate between what’s fact and what’s fiction; but, that’s a discussion for another time. One particular couple I’ve found on the web, from whom I love to learn, are Alex & Lauren of createandgo.co. They have been inspiring me a lot in this learning process I started for blogging and promoting, because I would love to afford do this full-time and completely give up my part-time, “real-paying” job as a data collector. It was always such a mystery to Mom why some people were willing to endure such an irony of accepting the risk of failing at what they attempt with foods (preparing, presenting, etc.) more readily than they will the failings with their relationships with other people, and that they’d put more effort into setting a good table rather than setting a good example. I’m inspired by Mom to do both. 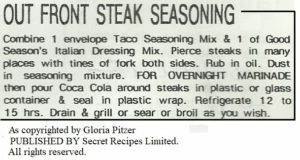 Once again, as with my pervious blogs, I’d like to close with one of Mom’s make-alike recipes that appeared on her “Free Recipes/Information” sheet (2000), which she used to give out in exchange for a self-addressed, stamped envelope; asking only for proper credit if you care to share it. 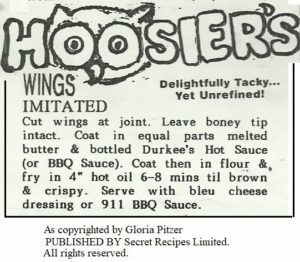 In keeping with the Super Bowl season of party planning (or attending), this is a photo copy of her imitation of Hooters-Style Wings, which I think she originally called Chooser’s Wings and, later, changed it to Hoosier’s Wings. 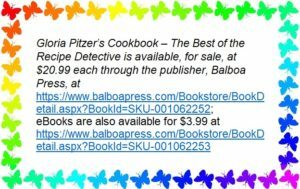 Note: this particular chicken wings recipe was not included in Mom’s last cookbook, “Gloria Pitzer’s Cookbook – The Best of the Recipe Detective”, published by Balboa Press (January 2018, 1st Printing) – a re-write by me, Laura Emerich, of her famous, self-published book, “Gloria Pitzer’s Better Cookery Cookbook” (May 1983, 3rd Printing). 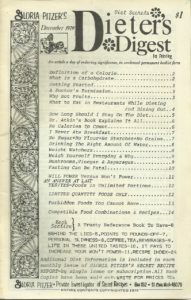 However, recipes for many other wonderful chicken and other related dishes, as well as wonderful morsels of Food for Thought and humorous antidotes can be found in the “Chicken” chapter or section of this book on pages 86-104. Enjoy!